The Acropolis, 2 November 2008. In the land where the past is eternally present, where the unburying of antiquities has become a national quest, one is surprised to find some of the remains of this very past buried anew. 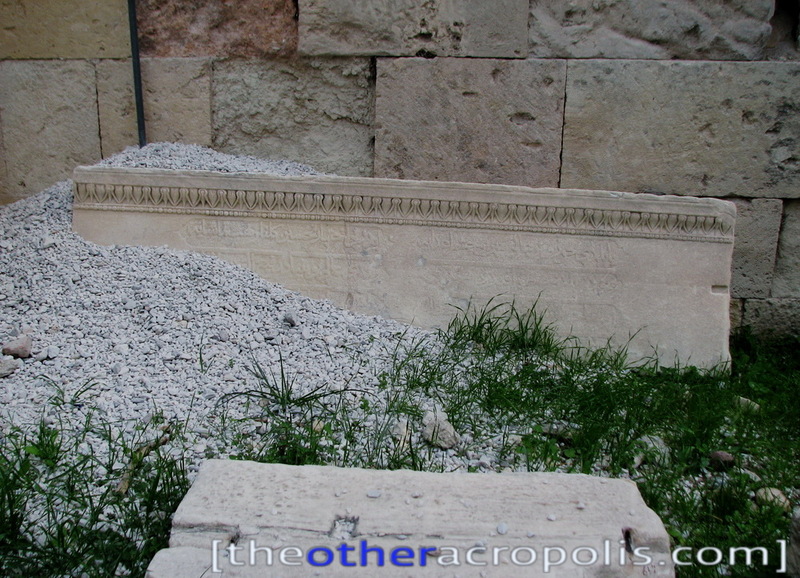 Certainly, this particular piece is not just any odd block of the Erechtheion architrave, but one now adorned by an Ottoman inscription, reminding us just who was running things up on the Acropolis in the not so distant (though ever so un-classical) past. Yannis Hamilakis has talked about this piece in his Nation and its Ruins and elsewhere, though since 2000, when he first saw it and photographed it, the “violated” piece of marble has become even less conspicuous. At a time of extensive restoration and overall cleaning-up of the proverbial “sacred rock” this block now lies buried under a mass of gravel, accidentally (?) fallen over it. Needless to say, the custodians of the nation’s relics are busy elsewhere.